It’s fun, fun, fun in the news today isn’t it? Remember in the olden days when the news used to end on a cheery story? Like “Today a cat called Ronald, managed to do triple summersault over a hedge and got in the Guiness book of records”? You don’t get any of that any more. All, recession this, and unemployed that and downturn the other. Ever think we may talk ourselves into all this? Probably, but that is a topic for a later entry. 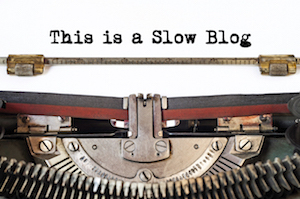 Today I want to return to a post I put up last week regarding how now is a perfect time to slow down. It really is. I see this as an excellent opportunity for people. I am not just saying that to make you feel better, I really do. Necessity is the mother of invention and all that. It is incredible how creative you can become and when looking at that the right way, it becomes fun. Remember when you were a kid and you used to make up games with nothing more than a cardboard box and tennis ball. It was great fun, in fact, often more than “proper games”. So, to begin with I want you to go back and think of some of those child memories, times when you just made up your own fun. Think of as many as you can, really go back to that time in your mind, see what you saw, hear what you heard, and feel how good it felt, if you see pictures run thrm together in a montage, really make them big and clear and really concentrate on that feeling of ingenuity and fun and creativity. When you have got that we will carry on! PS, you may have noticed: I don’t do weekends!